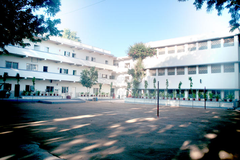 Find below the list of top State Board schools in Ahmedabad with phone number, address, 360° School tours, 2018-19 Admission forms & Fees, photos, facilities & more. Choosing the right school for a child is a daunting task. Making the job easier for you is Sqoolz. In order for your child to get admission to the best State Board schools in Ahmedabad you need to study and analyze the list of top State Board schools in Ahmedabad. With our detailed list of State Board schools in Ahmedabad, you can get all the information you need.